Arts patrons and martini connoisseurs in Shreveport-Bossier have been looking forward to the month of April. 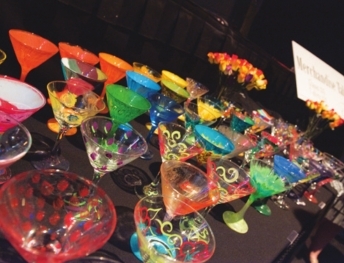 Bossier Arts Council’s ARTini fund-raiser, held from 7-11 p.m. on Saturday, April 28, at the Louisiana State Exhibit Museum on Greenwood Road in Shreveport, will see 25 of the area’s best restaurants compete for Judges’ Choice, People’s Choice and “Most M’Artisanal” Martini Awards. In addition to delicious drinks, the event will feature amazing art items as well as live music by Winston Hall. ARTini is the largest fund-raiser for the Bossier Arts Council (BAC) and sustains its programming for the following year. ARTini has become one of Northwest Louisiana’s most anticipated events. This year’s featured artist is local fine art and commercial photographer Neil Johnson, and the 2018 “Mover and Shaker” is Angie White, senior vice-president at North Louisiana Economic Partnership. This distinction is bestowed upon a community member who has made significant contributions to the local arts community with their support. This year’s event will be Casablancathemed, calling to mind a 1940s Moroccan nightclub, “where romance and espionage are on the menu,” according to the event’s Facebook page. The BAC certainly encourages patrons to get into the artistic spirit. “ARTini is an artsy event, so get creative with your attire. ” Tickets are $65 in advance via the BAC website, bossierarts.org, or $75 at the door. Admission includes entry to the event, samplings of each competitor’s signature martini, heavy hors d’oeuvres catered by John Cariere of Fairfield Manor Bed and Breakfast and live music performed by Winston Hall. Delish on Line artisanal marketplace will have non-alcoholic cocktails available. • Twisted Root Burger Co.
• Red River Brewing Co. The big winners in 2017 were Twisted Root Burger Co. (People’s Choice), Margaritaville (Judges’ Choice) and Fast Eddie’s (Most M’Artisanal). Funds raised through ARTini sustain the BAC’s programming throughout the year, such as Artist’s One Stop. This center gives local artists access to technology and training to further their ability to present their careers as either vocational or professional artists, according to the organization’s website, bossierarts.org. “The BAC Artist’s One Stop is aimed at discovering artists in their earliest stages of development” and allows artists to use photography equipment with which they can document their work; access to computers, printers, paper and other office supplies; professional development classes; professional consultations; and assistance and advice on resumes, promotion, budgeting and contracts. The BAC believes strongly in enabling artists to forge gainful careers. When they struggle to earn a living in Shreveport- Bossier, it makes artists more likely to move elsewhere, which removes their cultural influence from the community. And the local culture is a significant consideration for businesses deciding where to set up their operations. The more businesses that come to and remain in the area, the better the economy will be. Tickets to ARTini are $65 per person in advance or $75 at the door. Purchase them at www.bossierarts.org, where you can also find information about sponsorships starting at $250, as well as volunteer opportunities. 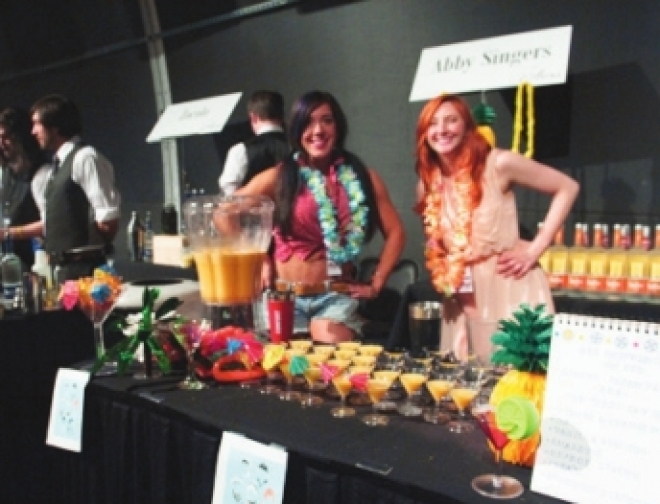 Volunteers can enjoy ARTini in exchange for volunteering at the event. All volunteers must be at least 21. There will be a mandatory volunteer meeting at 6:30 p.m. on Wednesday, April 25, at the Bossier Arts Council located at 630 Barksdale Blvd. in Bossier City. To learn more about the benefits of sponsorship, contact the BAC at (318) 741-8310 or e-mailing Emerie Gentry at emerie@bossierarts.org.